During the LCUSA 2013 National Assembly held in San Jose, CA from September 19 – 21, 2013, awards were presented to the delegates from the different associations who applied for Hager Grants. As Vice President of the Middle Atlantic Region, Dr. Rita L. Robinson presented a Kathleen Hager Grant in the amount of $1,000 to the Ladies of Charity Association of Our Lady of Perpetual Help (OLPH) Church in Washington, DC. 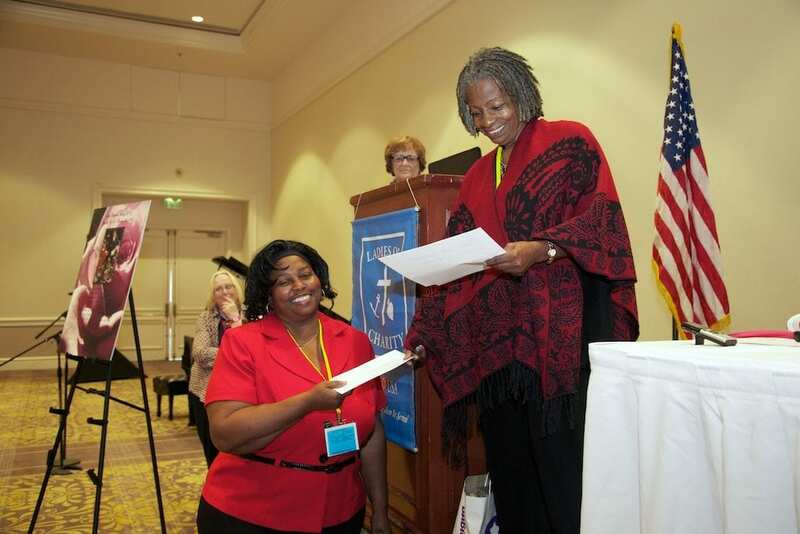 Ms. Dawna “Nicky” Wilkinson accepted the award on behalf of OLPH as its delegate to the assembly. The funds will be used to purchase a freezer for the OLPH Ladies of Charity Food Pantry.